With the Goods and Services Tax (GST) Council deciding on tax rates on most goods and services, the industry and stakeholders on Friday said the new system may increase burden on some but hoped for benefits through input tax credit system. "The cost of relatively price-sensitive small cars may increase marginally post-GST, while original equipment manufacturers will pass on the lower taxes on bigger vehicles and sport utility vehicles to customers," domestic rating agency ICRA's Senior Group Vice-President Subrata Ray said. The automobile sector will also see some benefits by virtue of input tax credit norms, he said. "A 12 percent rate for works contracts, with full input credit, is an encouraging development as it will be a simpler tax system and should reduce the cash component of the economy," said Pratik Jain, Partner and Leader Indirect Tax at Price Waterhouse Coopers. However, Jain said, having a multiple rate slabs on services comes as a surprise to the industry, particularly introduction of the 28 percent slab. "The proposed tax structure on services is much more complex compared with what we have at present," he said. 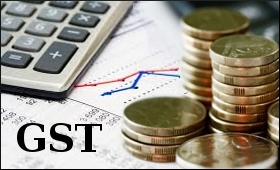 The Confederation of All India Traders (CAIT) said the classification of goods under different GST tax slabs is expected to make goods cheaper under the new indirect tax regime. CAIT said it will soon submit a memorandum to Union Finance Minister Arun Jaitley for re-classification of some of the items. "Pickles, sauces, instant mixer, and some other items pertaining to food processing have been placed under the 18 percent tax slab, though these are consumed by a large number of people. Therefore, these and other similar items deserve to be placed under lower tax slab to maintain prices," CAIT President B.C. Bhartia and Secretary General Praveen Khandelwal said. Archit Gupta, founder and CEO of ClearTax.com, said: "The GST Council has promised to lower tax on most consumer items of daily and common use. The government is banking heavily on input tax credit (ITC) mechanism to lower the tax burden on buyers." "We welcome the GST Council's move to exempt healthcare from the Goods and Services Tax," said Suneeta Reddy, Managing Director, Apollo Hospitals Group. "We believe that by doing so, the government has accorded healthcare and education their due importance and impetus that they need to become game-changing transformation agents for India, its people and the economy. Since healthcare was always on the zero list, the impact of this announcement will be neutral," she said. Rating agency Crisil said, "Under the GST, emphasis on value addition, amalgamation of a large number of central and state taxes into a single tax and set-off allowance of prior-stage taxes will mitigate the ill-effects of a cascade. This will also allow free flow of tax credit in intra- and inter-state transactions, leading to a more efficient and leaner tax structure." The Indian Beverage Association (IBA), however, expressed disappointment over placing of sweetened aerated water and flavoured water in the highest 28 percent slab combined with an additional cess of 12 percent. "This increase will have a negative ripple effect and hurt the entire ecosystem of farmers, retailers, distributors, and bottlers in India. This increase in tax will further limit the growth of the beverage industry," it said. The telecom industry too was disappointed with the 18 percent tax rate. "It will augment the existing burden of the industry further. This is also likely to slow down the planned rollout of infrastructure across the country and will have an impact on flagship government initiatives like Digital India, cashless India and others," said Rajan S. Mathews, Director General, Cellular Operators' Association of India (COAI). Anirudh Dhoot, Director, Videocon, said: "With GST implementation inching closer, the economy too is eyeing vast opportunities and targeting sharp growth. Being more efficient, the system will bring much ease to the tax structure and lower evasions massively. However, retailers are still in a dilemma over the GST, which we must address and create awareness of, so that it can be welcomed smoothly without any ambiguities." Rajeev Dimri, Leader, Indirect Tax, BMR and Associates LLP, said: "The GST Council has made its intention to tax luxury services at a higher rate quite evident by announcing different rates for services such as hotels, five-star restaurants, etc., based on their tariffs and other factors which distinguish luxury services from non-luxury services."